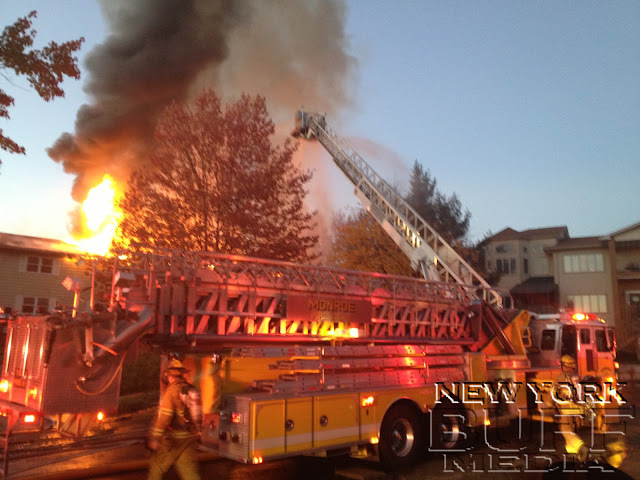 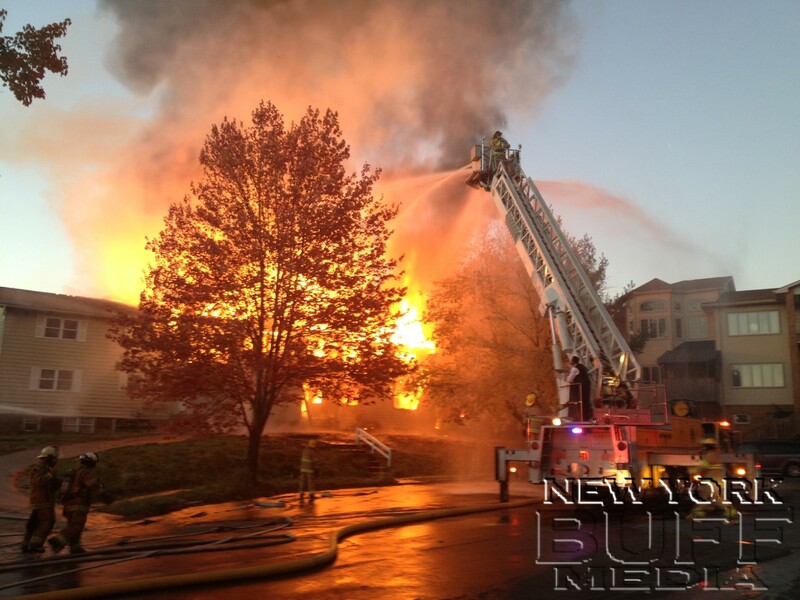 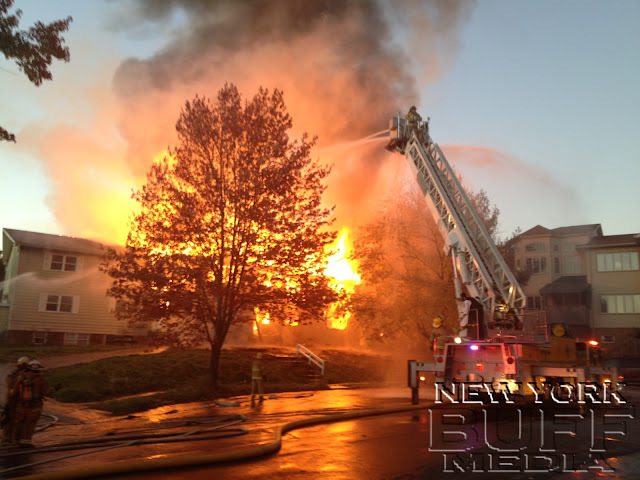 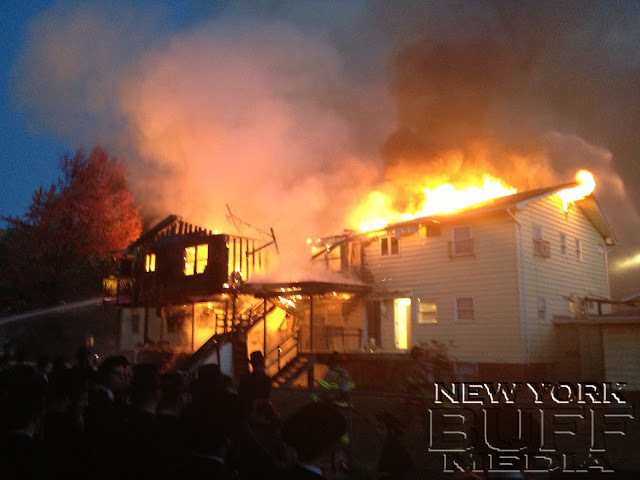 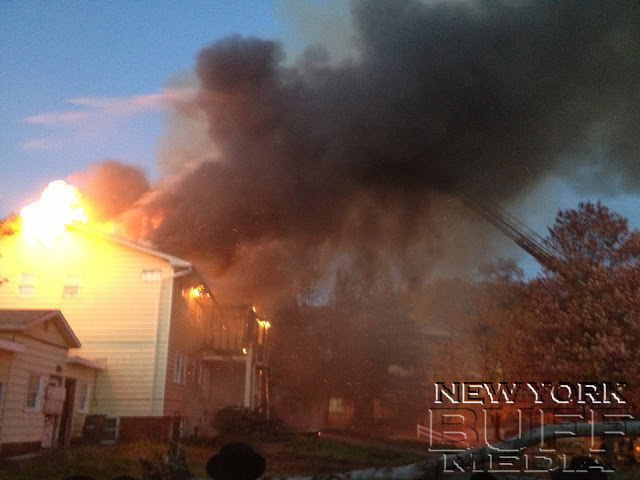 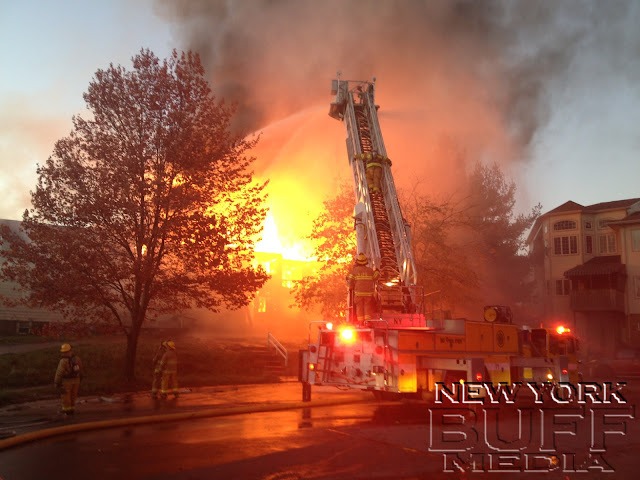 Kiryas Joel - Firefighters responded early Tuesday evening to the scene of a reported structure fire at 5 Buchanan Drive in the village of Kiryas Joel. 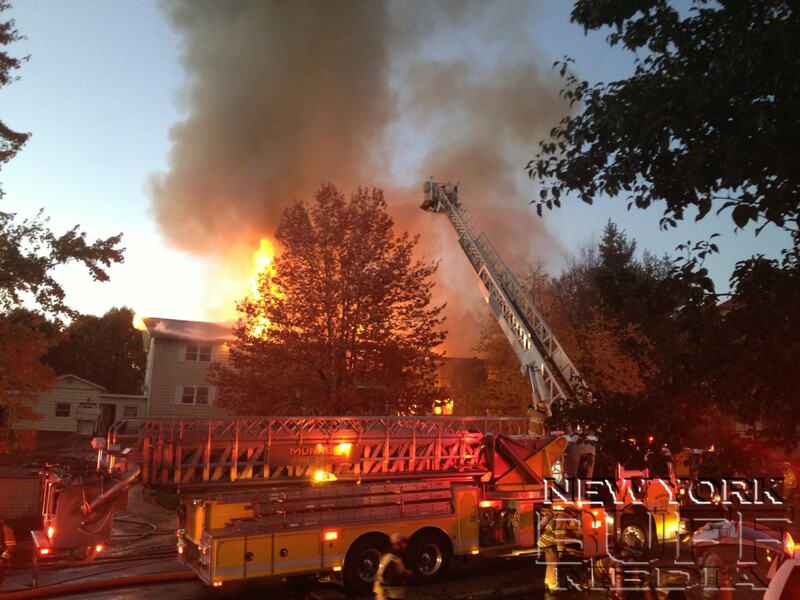 Arriving officers instantly requested mutual aid from surrounding fire departments to assist and cover for a fully involved fire. According to MidHudsonNews an elderly woman was in the basement of the structure and was rescued by emergency personnel. 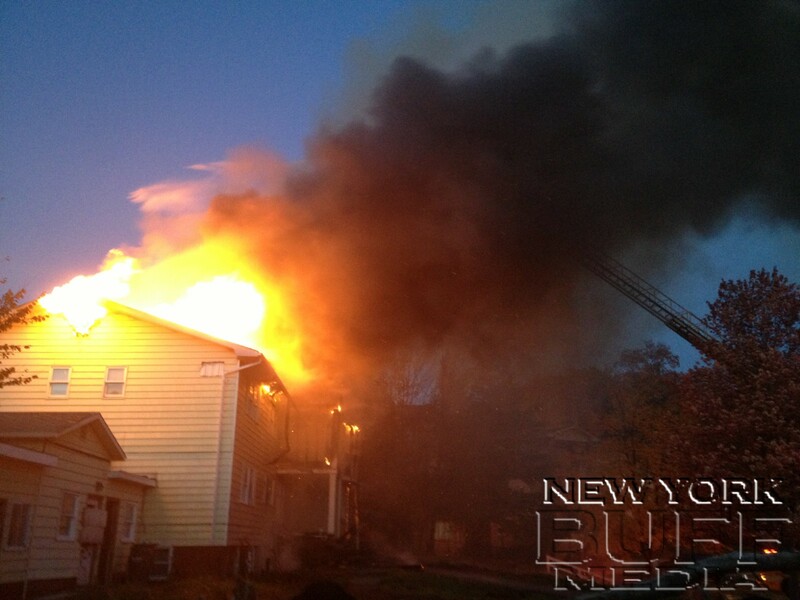 But according to IPN the fire was in a 2.5 "Vacant" dwelling. 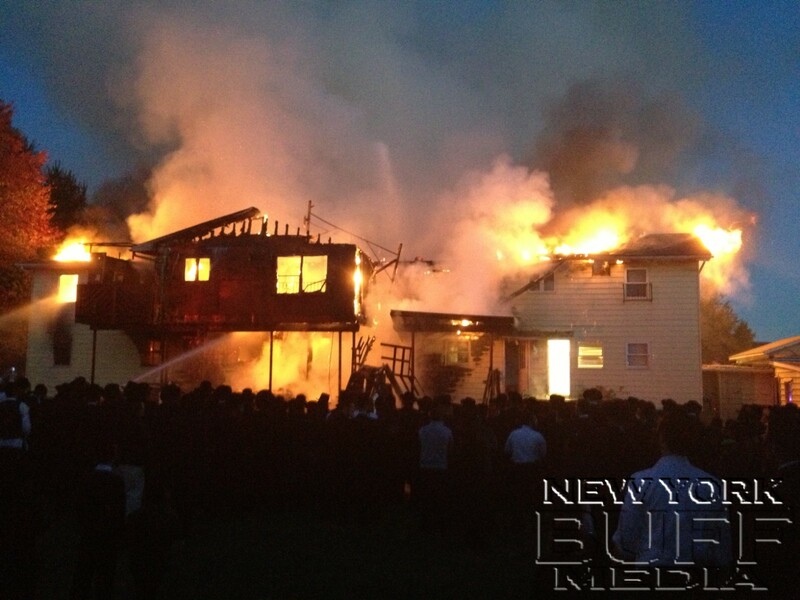 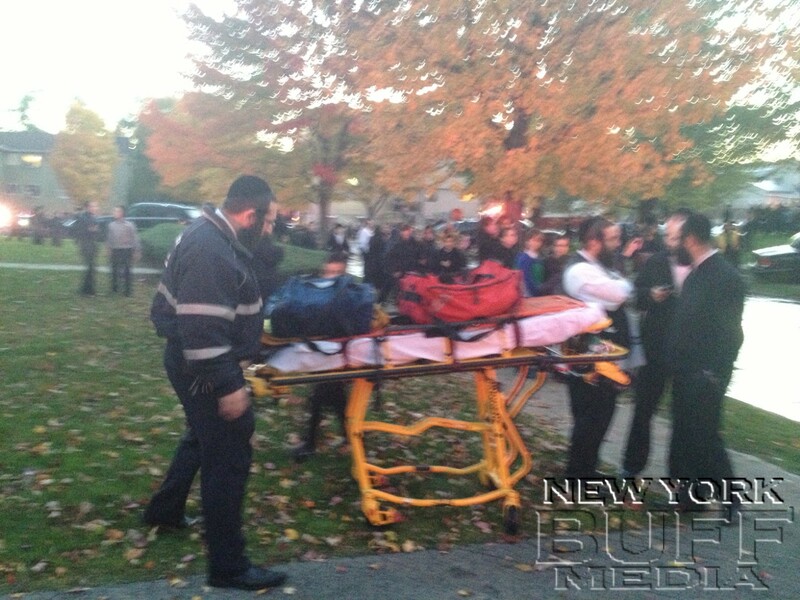 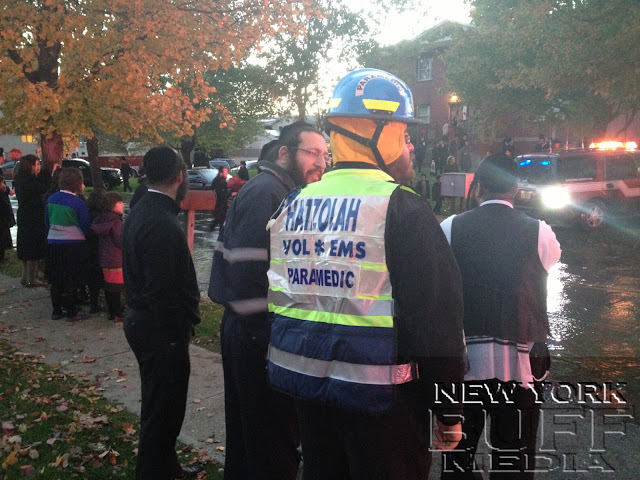 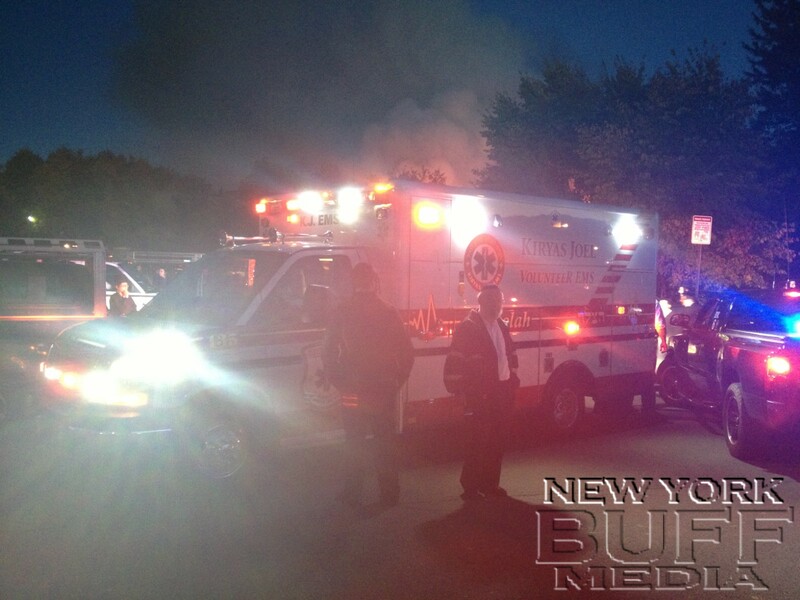 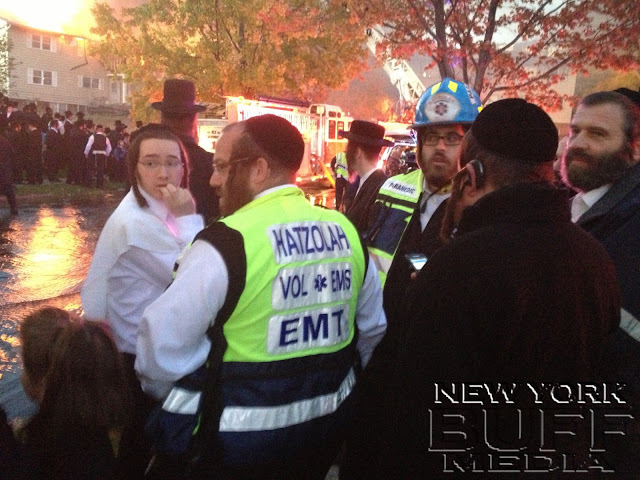 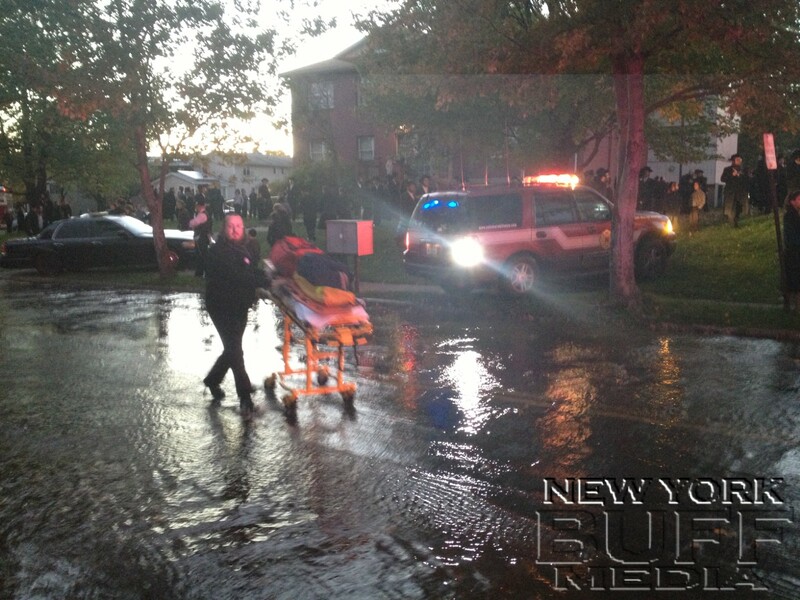 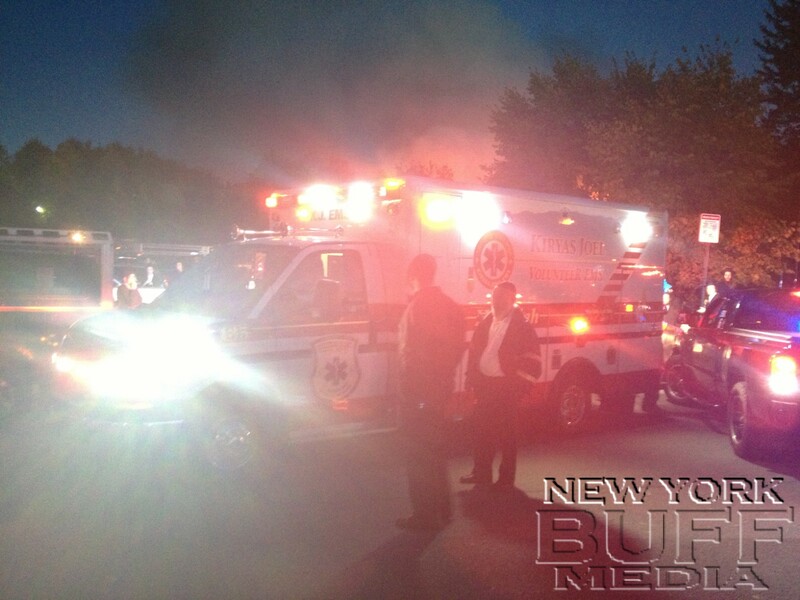 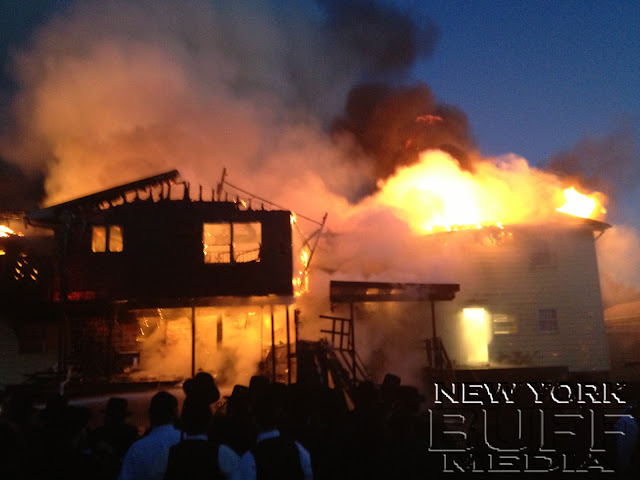 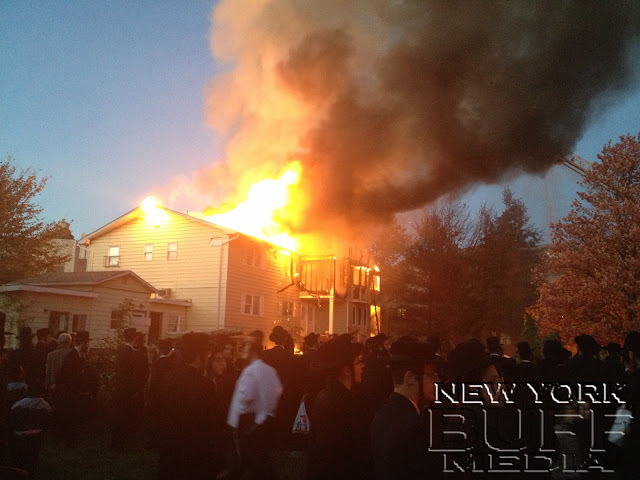 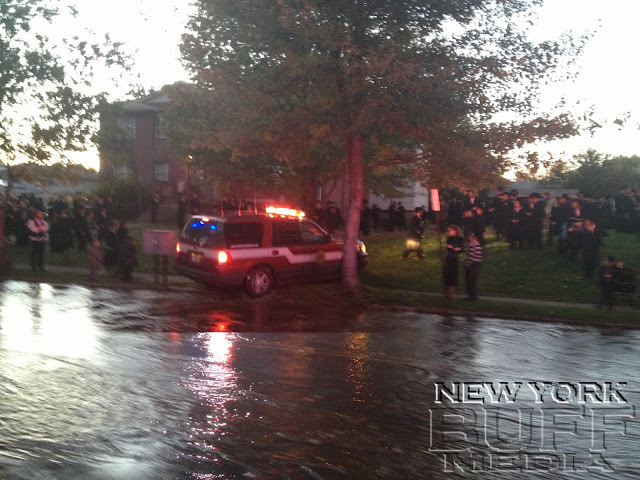 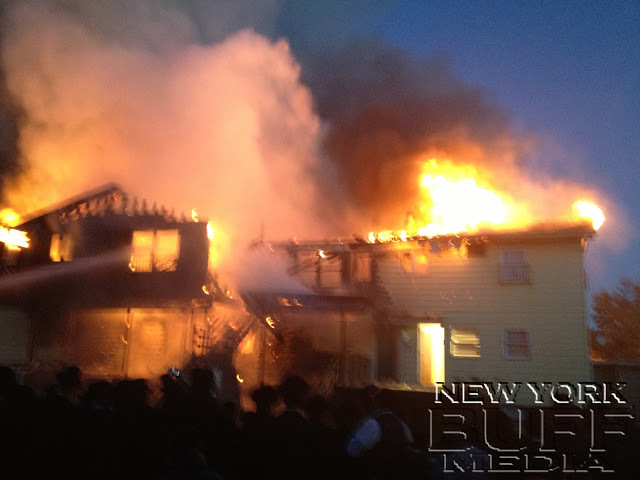 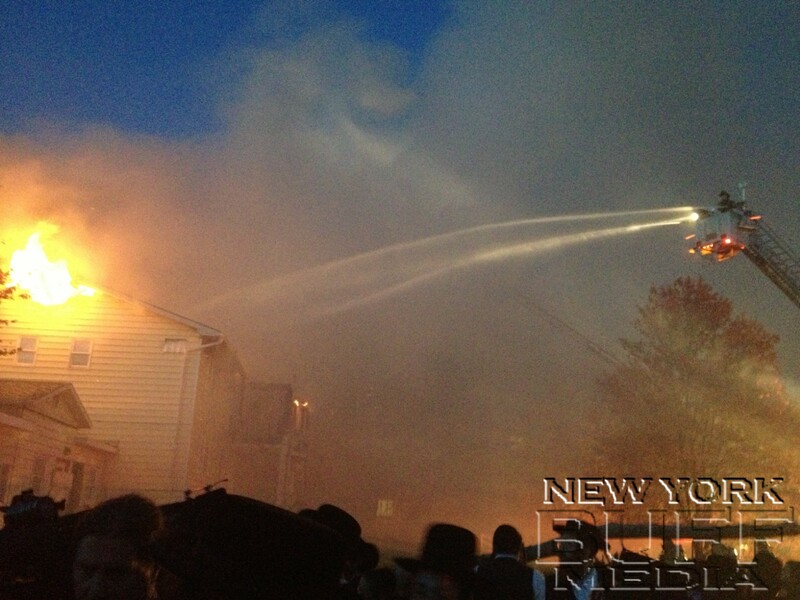 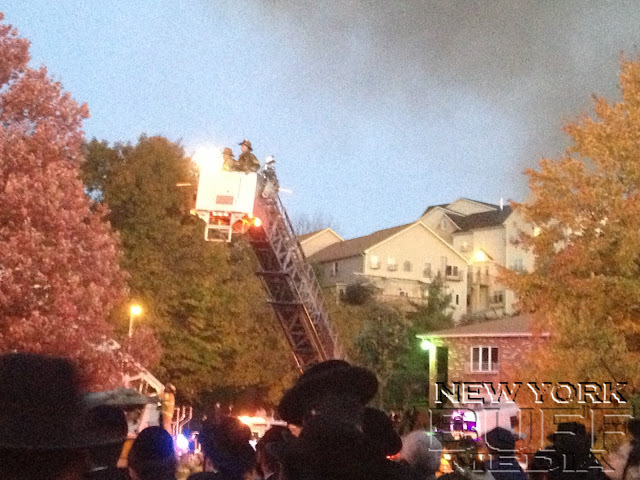 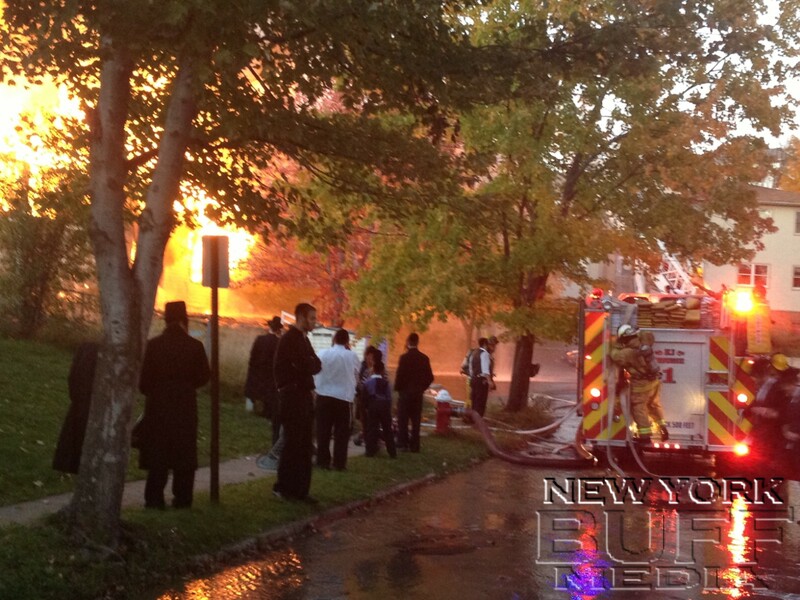 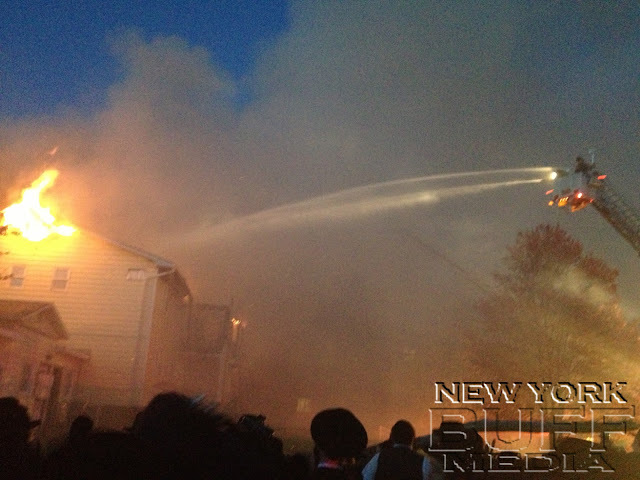 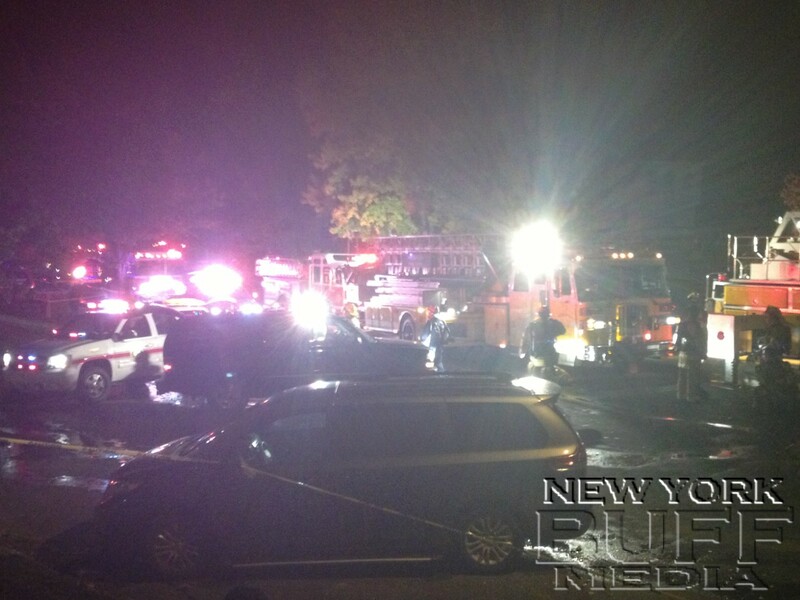 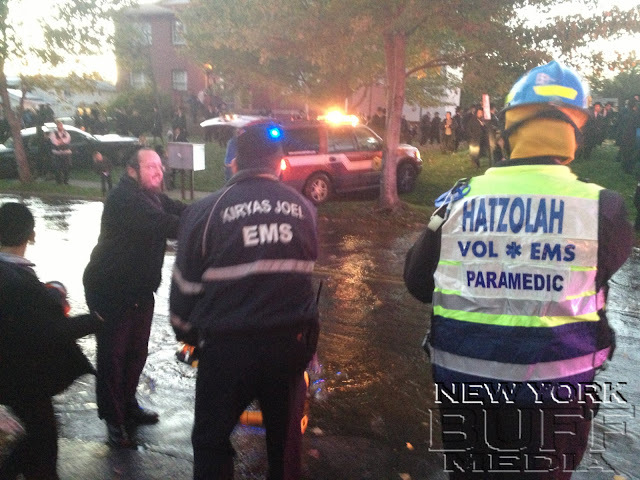 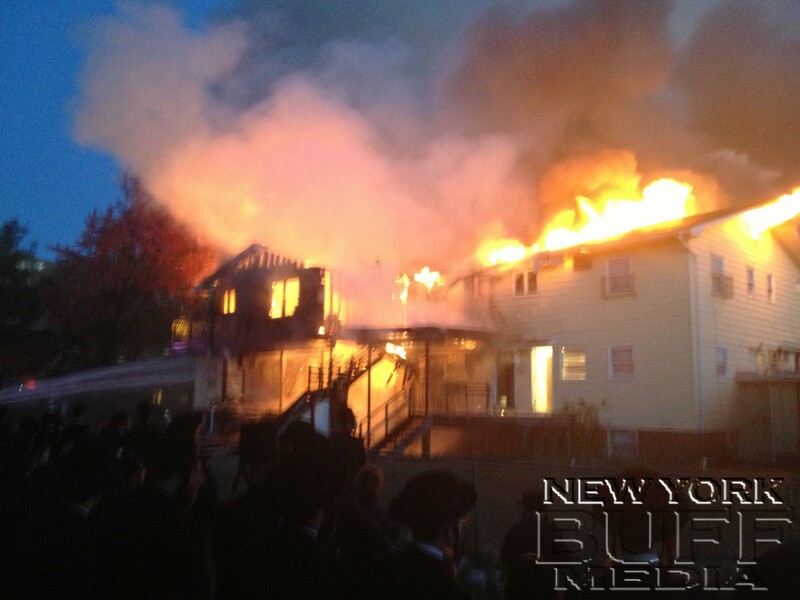 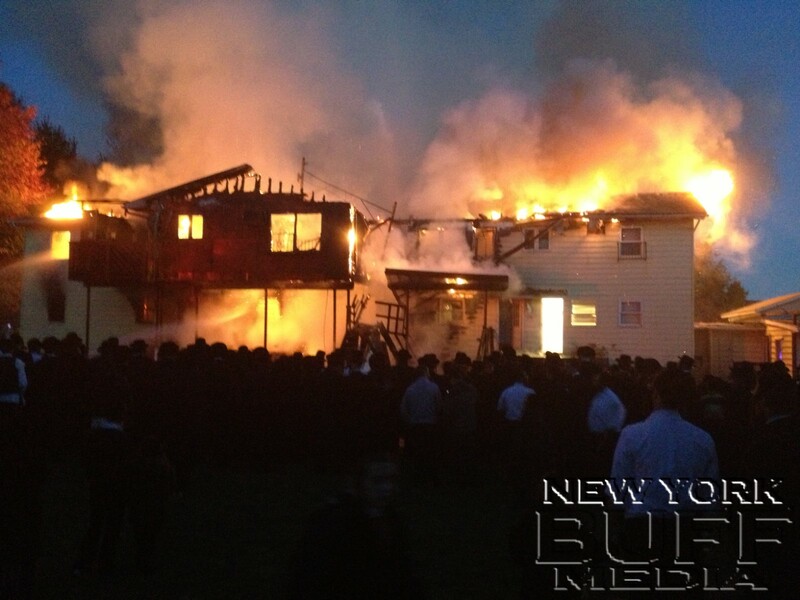 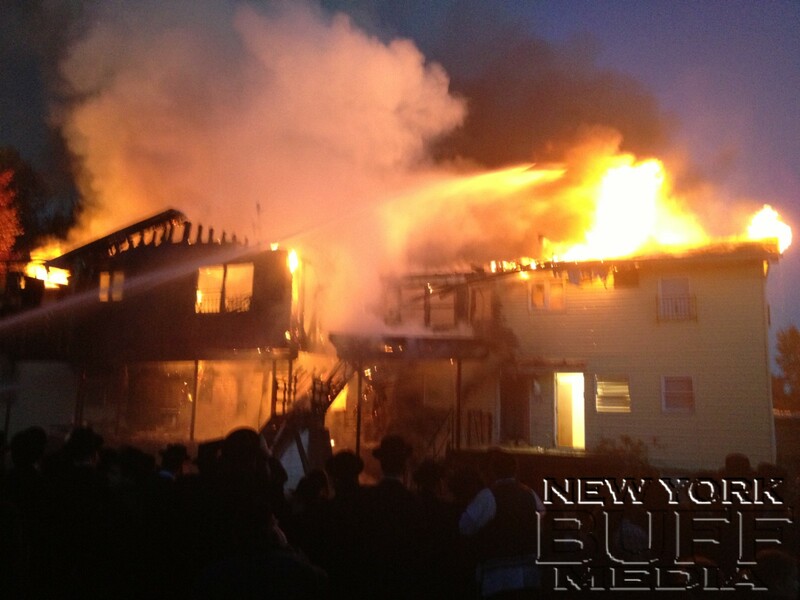 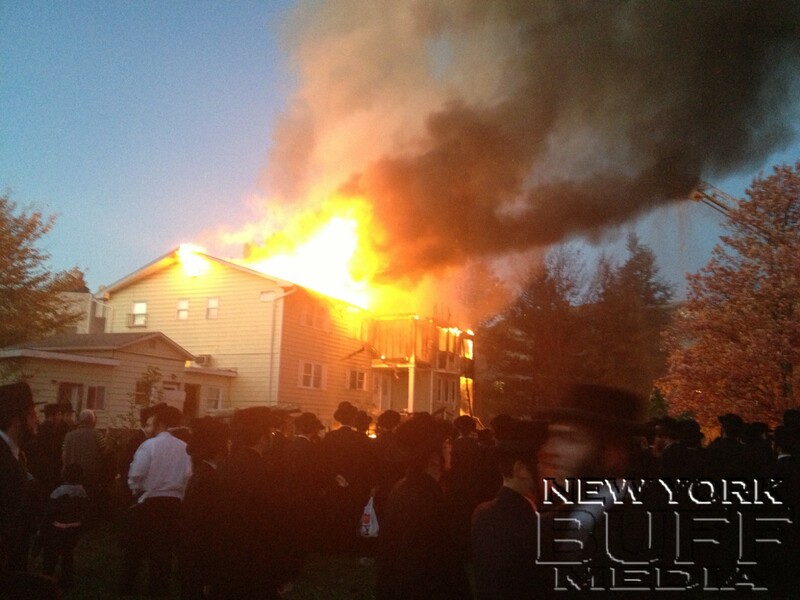 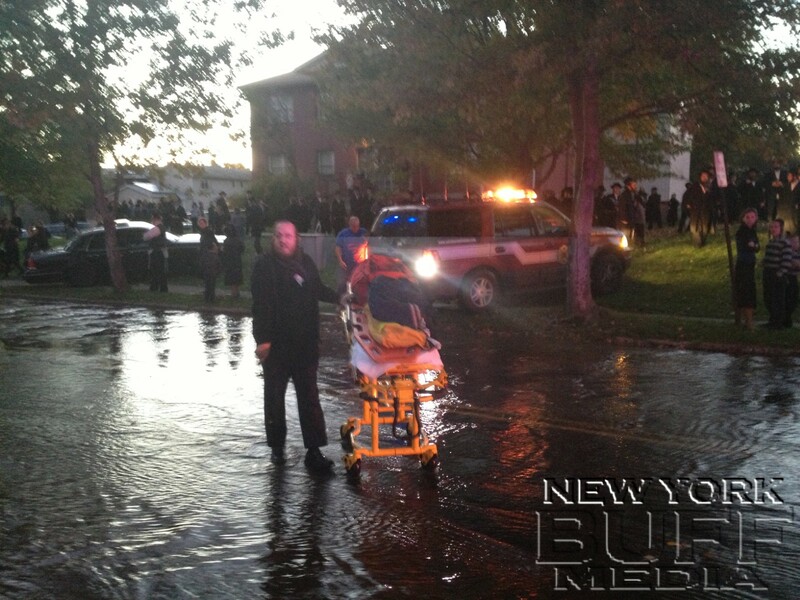 The Kiryas Joel EMS (Hatzolah VAC) responded to the scene on standby and were not needed. 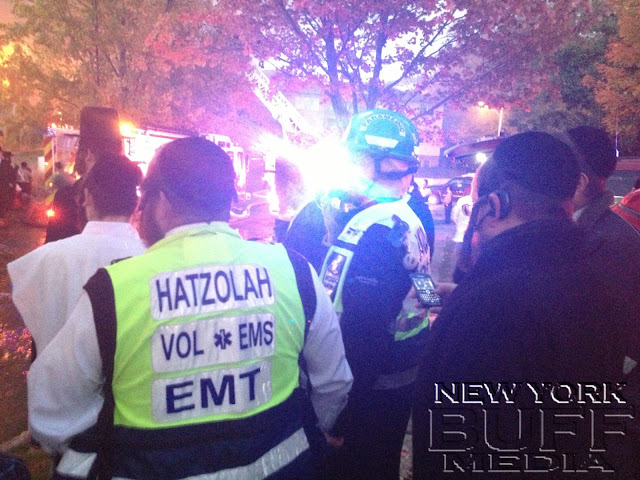 For a video taken from the scene scroll down to the bottom of this page.